I had fun playing with the keychain element and made a little something I could carry on my virtual gunbelt! LOL. The styles are very nice too, they have a very nice effect when used with the keychains and/or the bread tags. 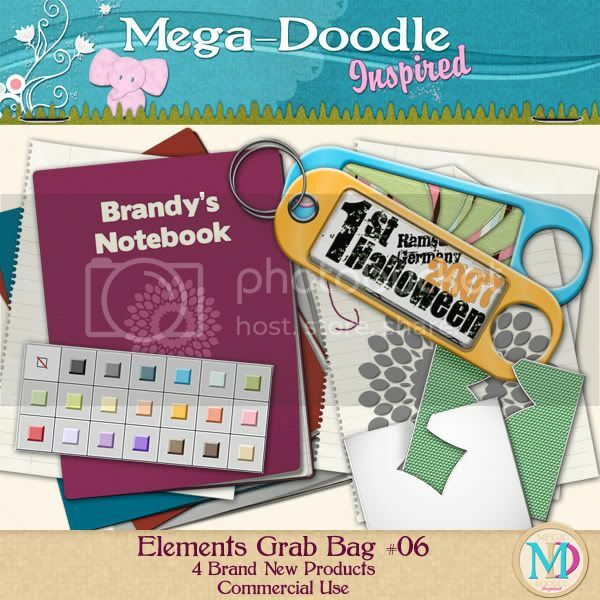 Head over to Brandy's blog for all the info and links to her stores! 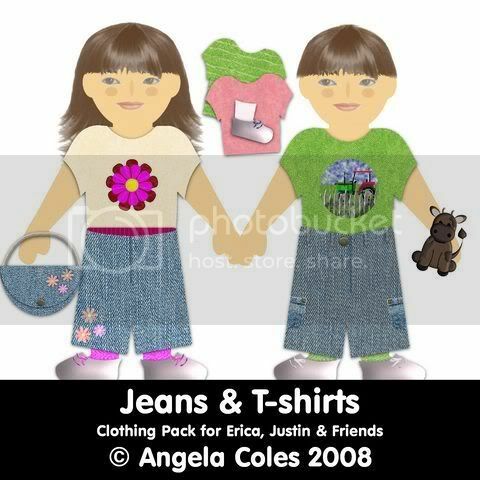 And Angela made some new clothes for her Paper Dolls, Erica and Justin. Aren't they just the cutest? Head on over to her blog, Toucan Scraps, for to snag these adorable outfits! Now I must thaw some chicken breasts and think about dinner, but I will work on tonight's freebie as soon as I can get to it! Oh Deb! that keychain thing is wonderful! I love it.